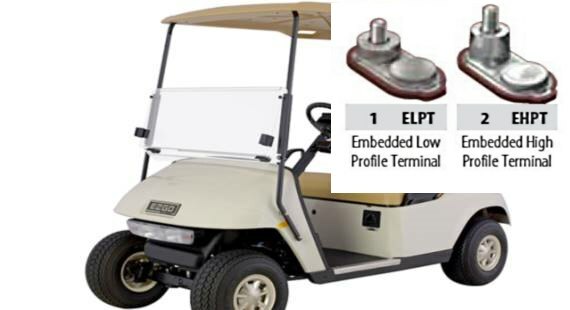 Most golf cart batteries use a Embedded Low Profile Terminal (ELPT) or an Embedded High Profile Terminal (EHPT) to connect the electrical cables. They should never be over tightened because you may damage the posts or even pull out the threaded connectors. 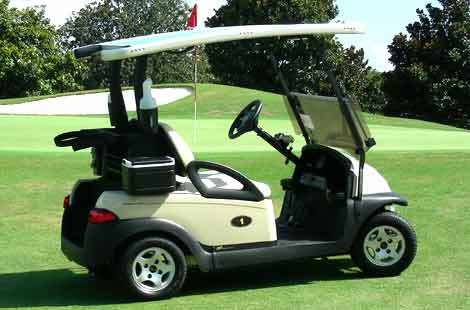 Most golf cart batteries should be tightened down to 95-105 lb/in, which translates to 7.9 – 8.8 ft/lb of torque. Torque measured – The “ft-lb,” “lb-ft,” or “foot-pound” is the amount of turning force applied to move one pound a distance of one foot around an axis at a radius of one foot. There is usually no need for a torque wrench if you don’t have one. Just tighten down firmly just until it holds well but can’t wiggle loose. A loose connection can melt a battery post in just a short golf cart ride. 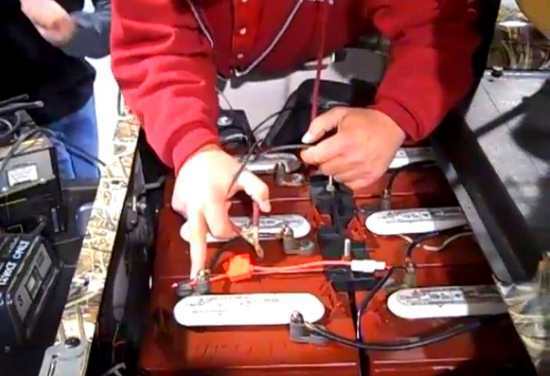 Good info re battery Torque and terminals.